Wisconsin Swim Academy is the best swim school for children with special abilities. Teaching kids with special abilities how to swim is not only a good idea, it is essential! For kids with Down Syndrome, attention deficit disorders, sensory issues, motor skill delays, Autism and other special abilities, swimming can help improve muscle tone and strength, balance, coordination, behavior, self control, communication, self esteem…..the list goes on and on. The truth is, the benefits of swimming for all of us are tremendous. For kids with special needs, swimming helps foster courage, confidence, trust, friendships and most importantly, can save a life. At Wisconsin Swim Academy, we can (and do!) teach kids with special abilities a necessary life skill that can help improve many aspects of their life. Our highly trained instructors all go through the same rigorous training program. That means that each class will have the same high quality instruction with a swim program that is proven to help your child become a strong, confident swimmer. Every child is different and unique in their own special way. At Wisconsin Swim Academy, your child will have a lesson plan written specifically for them and their individual needs and abilities. We know that not all kids learn the same way. That is why our instructors use patience and understanding to help your kiddos achieve their goals. We celebrate all accomplishments, big and small. At Wisconsin Swim Academy, we believe that one on one attention will provide children with special abilities the focused instruction that will help them become strong swimmers. We offer only semi-private or private lessons. That means your child will get the individualized attention he or she deserves and will not be distracted by large class sizes. At the end of each session, you will receive a progress report, giving you detailed information on how your child is doing, goals they have achieved and skills they can work on in the pool and at home. As many of you know we are in the process of planning our new facility. We are just as excited as you are, but what is even more awesome, is that our new pool will be wheelchair/handicapped accessible! We will be the only warm water pool in the City of Appleton and surrounding areas that will have this feature. Here is a startling fact–Drowning is the leading cause of death for kids with Autism. Across the board, children with special needs have a higher risk of drowning. 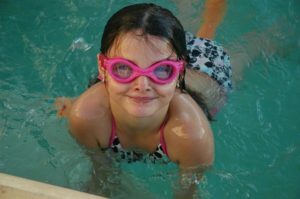 Taking swimming lessons at Wisconsin Swim Academy will help teach kids with special abilities the skills required to be safe in and around water. It will provide them with an increased spatial awareness and help improve balance, which can help prevent accidents. Swimming has been named one of the best sports for children with ADHD. It helps release excess energy and it allows children to compete as individuals while still being part of a larger team. 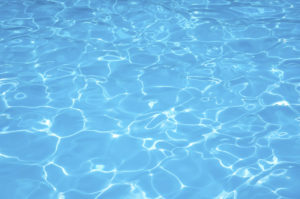 Swimming aids in relaxation, improves mood and helps release excess energy. One of the benefits for special abilities children is exposure to others including students, parents and instructors. Socialization skills are being addressed and worked on in a setting that is not obvious or forced. And as the child learns new skills and reaches new goals, they will have a profound sense of accomplishment, thus increasing their confidence. Have questions or want to hear more? Give us a call at 920-427-8286 or send us an email at swim@wiswimacademy.com. We look forward to hearing from you!